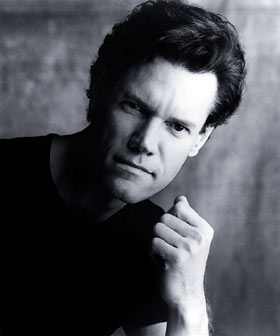 Randy Travis was born with the name Randy Traywick in Marshville, N.C., on May 4, 1959. He grew up a hellraiser, by drinking, fighting, dabbling in drugs and committing petty crimes on a path heading straight toward prison. But the rebel ninth-grade dropout "found himself" in the spotlight of a Charlotte, N.C., nightclub, where he won a talent show. With the help and direction of the club's owner, Lib Hatcher, the teenager underwent a startling transformation. He purified his mind, turning his back on substance abuse and focusing on music. At the time, Nashville was deep in the Urban Cowboy, pop-country phase of the early 1980s. Travis was intent on bringing back fiddles, steel guitars and honky-tonk lyrics. He recorded for a tiny label, Paula Records, and, in classic country fashion, drove from radio station to radio station throughout the South to promote his work. After five years of paying dues in North Carolina, he and Hatcher (who had become his manager) moved to Music City in 1981 with little more than dreams and determination to sustain them. Back then, not a single executive on Music Row could hear the possibilities in Travis' subtly shaded backwoods baritone. He was turned down by every record label in town. Hatcher took a job managing a nightclub called The Nashville Palace. Travis became its dishwasher and short-order cook. Occasionally, he'd take off his grease-stained apron and emerge from the kitchen to sing a song, which would invariably make the hard-core country patrons go wild. While at The Nashville Palace, Travis recorded an independent album under the name Randy Ray. Randy Ray Live was enough for Hatcher to secure Travis a deal with Warner Bros. Records. In 1985, the label released the single "On the Other Hand," which only made it to No. 67 on the Billboard country singles chart. Travis' second single, "1982," was a Top 10 hit that kicked his career into high gear. The label then re-released "On the Other Hand" in 1986, and the song went to No. 1. 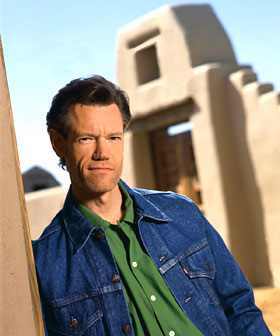 Travis followed it up with charttopping hits "Diggin' Up Bones" and "Forever and Ever, Amen," which won the Country Music Association's single of the year award in 1987. 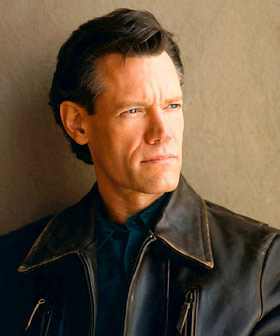 Travis won the CMA's prestigious Horizon Award in 1986, won album of the year honors in 1987 for Always and Forever and took home male vocalist of the year trophies in 1987 and 1988. George Jones, Loretta Lynn, Tammy Wynette, the Grand Ole Opry cast and the rest of country's classic stylists voiced their support for the plainspoken young man from North Carolina -- they had found someone to "carry the torch" into the future. Travis' major label debut album, Storms of Life, was released in 1986 and went on to sell more than 4 million copies. Always and Forever, his second collection, was No. 1 for 10 solid months and won a Grammy Award. Old 8x10, his third set, also won a Grammy. To be sure, the first boom in the "new country" movement had sounded. In 1986, Travis was invited to join the Grand Ole Opry. By the time he turned 30 in 1989, he'd sold more than 13 million records, paving the way for a new generation of country stars like Garth Brooks, Clint Black and Travis Tritt. 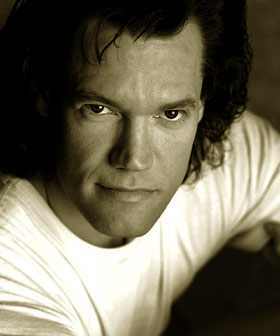 Travis and Hatcher married in 1991, and, in 1992, Travis became the first country artist to release two albums simultaneously. Both volumes of his Greatest Hits became sales blockbusters. Later that year, he and Alan Jackson collaborated on Jackson's No. 1 smash "She's Got the Rhythm (And I Got the Blues)." Travis then scored back-to-back No. 1 hits of his own, "If I Didn't Have You" and "Look Heart, No Hands." 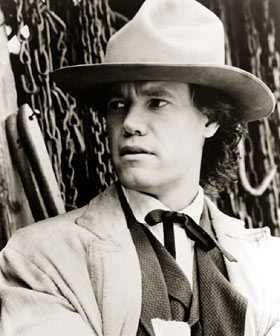 In 1994, Travis launched his film career with a variety of roles. 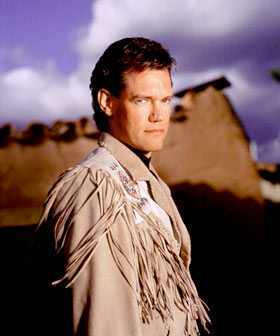 He also has been a guest star on several top-rated TV dramas, including Touched by an Angel and Matlock. "Acting was a way for me to learn something new," Travis explains. "Learning keeps you young." In 1997, Travis left Warner Bros. Records and signed with new label DreamWorks Nashville. His first album for the label, 1998's You and You Alone, put Travis back in the spotlight with Top 5 singles "Out of My Bones," and "Spirit of a Boy, Wisdom of a Man," and the Top 10 single "The Hole." 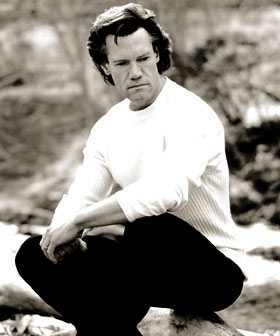 Travis managed to record the album while filming roles in Francis Ford Coppola's big-screen treatment of John Grisham's The Rainmaker and the Patrick Swayze feature Black Dog. Travis released a second DreamWorks album, A Man Ain't Made of Stone in 1999. The next year he followed with Inspirational Journey, a contemporary Gospel album on Warner Bros. Travis released a second Christian-themed album, Rise and Shine, in 2002. Its first single, "Three Wooden Crosses," reached No. 1 and won the CMA song of the year in 2003, and the album won a Grammy in 2004.